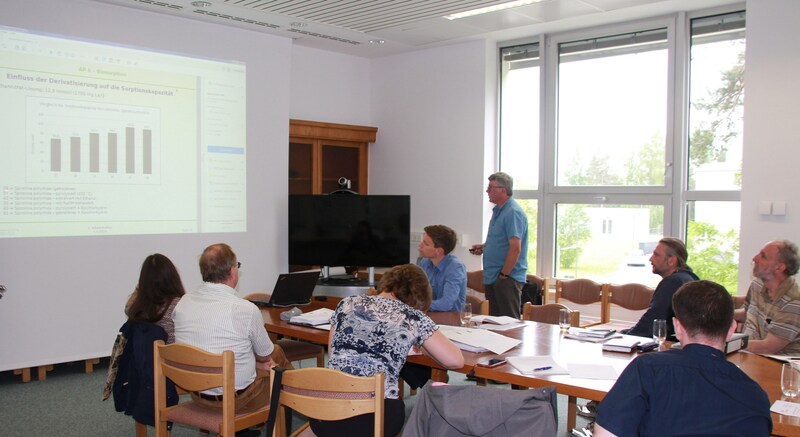 On June the 1st the project partners met at the premises of the Helmholz Center Dresden Rossendorf (HZDR) to present their respective results of the past months. Mr. Martin Erdmann, a guest from the BGR introduced the r4-Intra project and it’s task and objectives in crosslinking and public relations in the r4-initiative framework. In 2015, Dr. J. Petersen, University of Cape Town (UCT), acquired funding for a research project on the in-situ leaching of REE complementary to SEM². 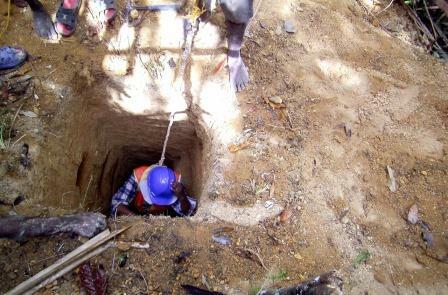 Clay samples from the Tantalus mine have since been shared with UCT in order to kick-start their research activities. 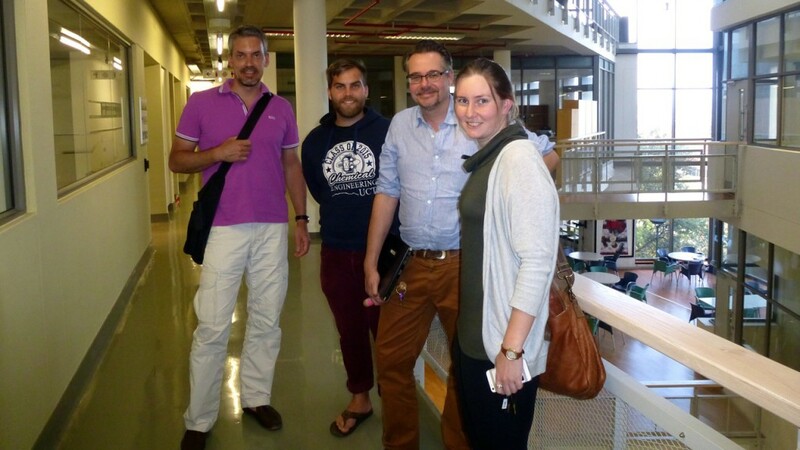 In March 2016 Dr. Haschke (GUB) visited UCT to visit the laboratory facilities and discuss project progress. We look forward to a constructive cooperation with Prof. Petersen and his team. 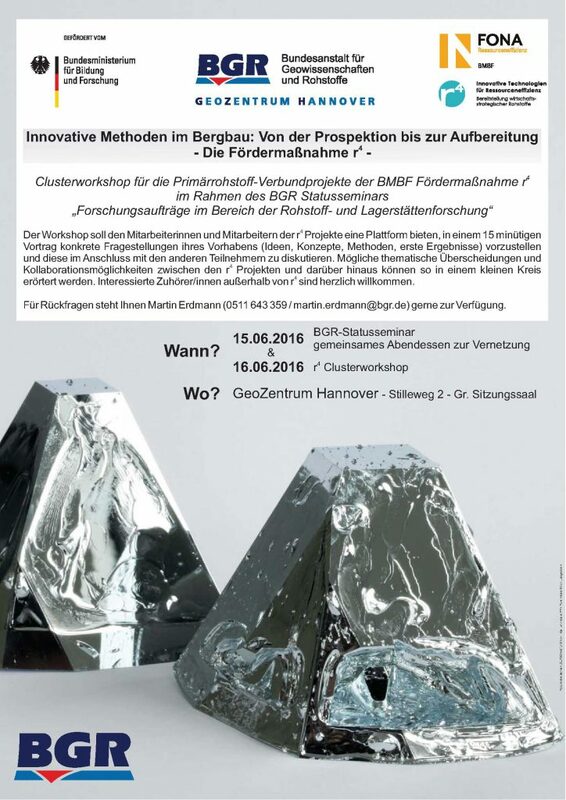 The first project workshop took place December 2nd 2015 at the premises of the GMBU e.V., Halle. The project partners presented the current status of their respective work packages and used the chance for subsequent discussions. The next meeting will be on June 1st, 2016 at 10:00 AM at HZDR. 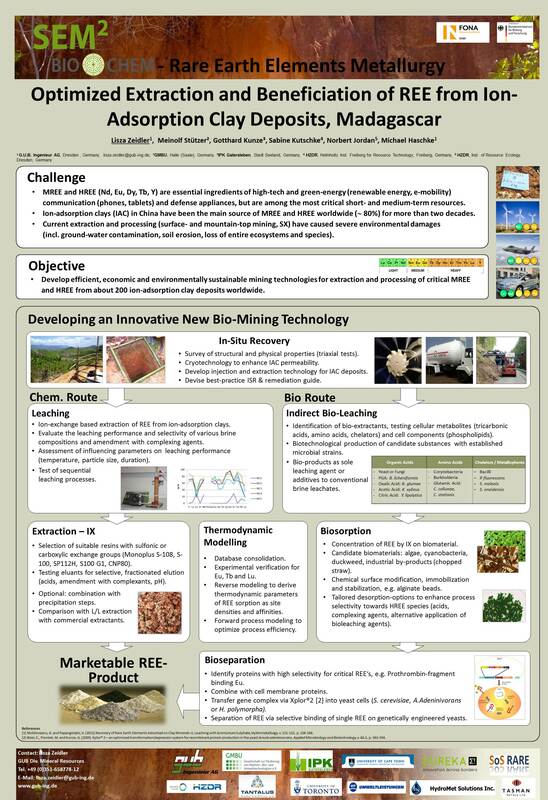 The SEM² project was presented August 18th 2015 at the Goldschmidt Conference in Prague, Czech Republic. 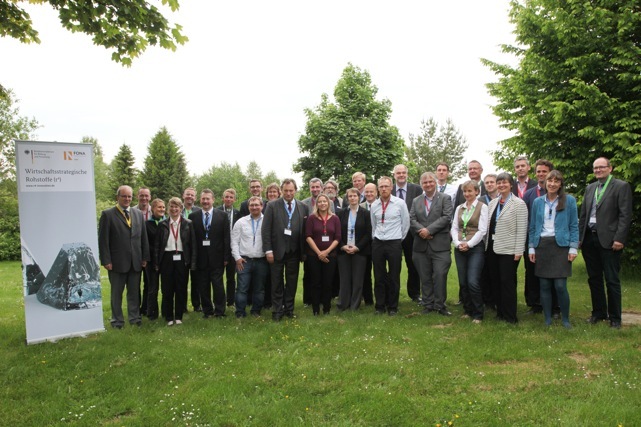 The Kick-Off Meeting for the SEM²-project took place June 16th at the G.U.B. premises in Dresden. Ms. Krüger and Ms. Liebs, Forschungszentrum Jülich, provided an introduction on financial and administrative concerns. 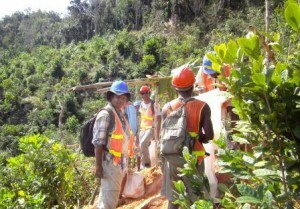 The project partners – GUB, GMBU, HZDR (Inst. 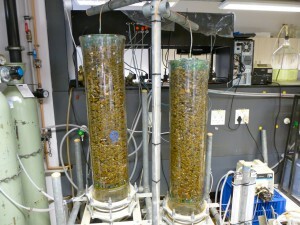 for Resource Technology), HZDR (Inst. of Resource Ecology) and IPK – presented their work packages and discussed project coordination and implementation aspects. The next consortium meeting will be on December 2nd at 10:00 AM at GMBU e.V. Halle. The Kick-Off Meeting for the assistance measure “r4 – Economically strategic materials“ took place between the 10th and 11th of June at the CUTEC Institute in Clausthal-Zellerfeld. Prof. Dr.-Ing. Faulstich, director of the CUTEC Institute, moderated the presentation of the 26 project. In October 2014 Dr. Sabine Kutschke, Helmholtz Institute for Resource Technology, and Lisza Zeidler, GUB undertook the sampling in collaboration with employees of the Tantalus mine in Madagascar. Based on geological maps indicating REE abundance, sample pits and depths were selected. 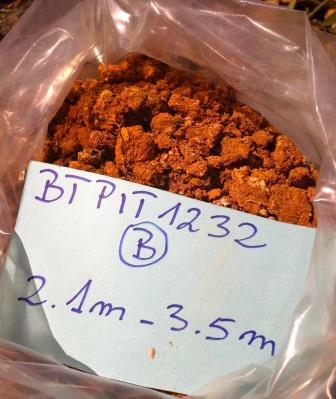 About 1 ton of lateritic material from 15 pits was collected and shipped to Germany.